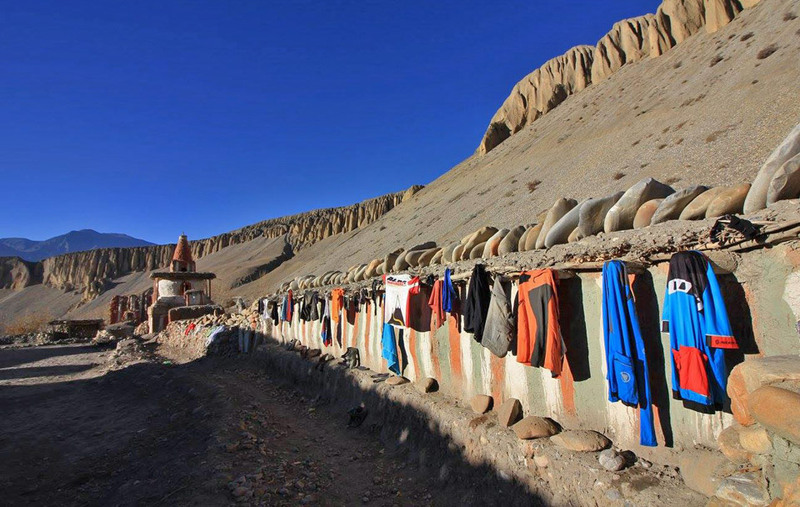 ride the legendary Lower and Upper Mustang! 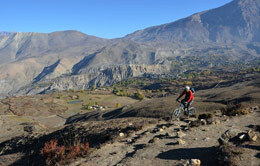 Mountain Biking in Mustang, Nepal, is on the ‘to-do’ list of many mountain bikers around the world! 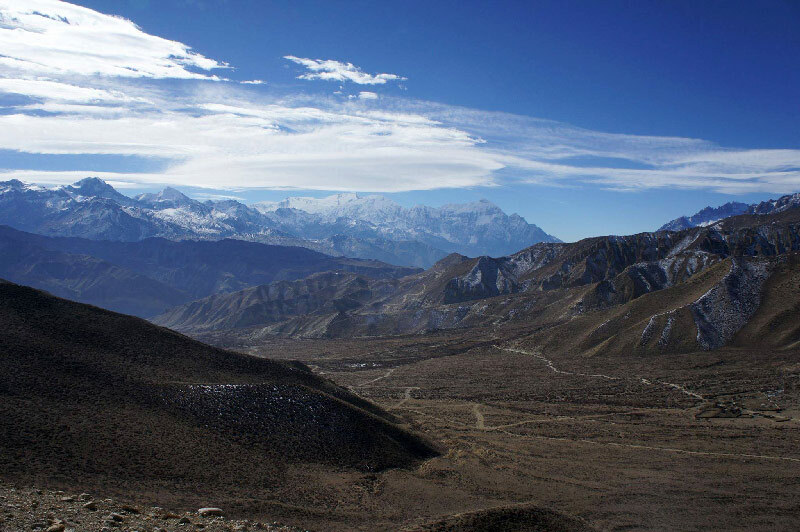 Nepal and the Mustang region more specifically has a history dating back centuaries, with a wealth of cultural heritage strongly anchored in buddhism and it is surrounded by some of the most breathtaking mountainous scenery in the world! 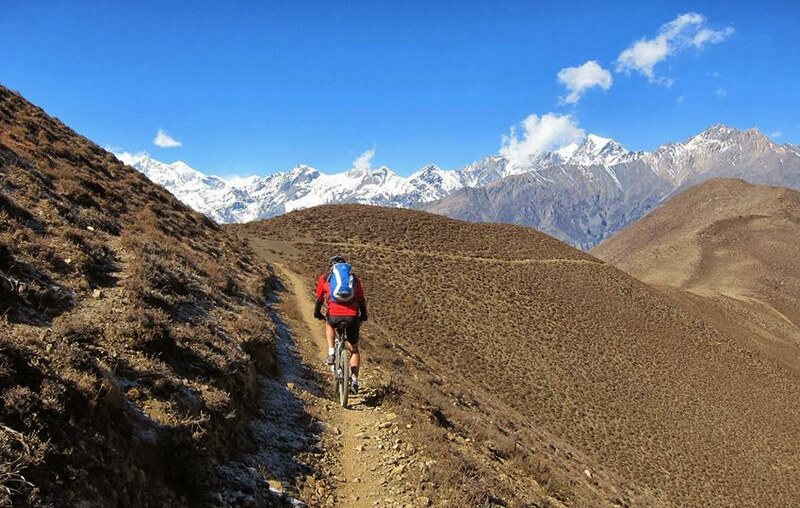 Mountain Biking in the Mustang region of Nepal is a unique adventure few riders are lucky enough to experience. 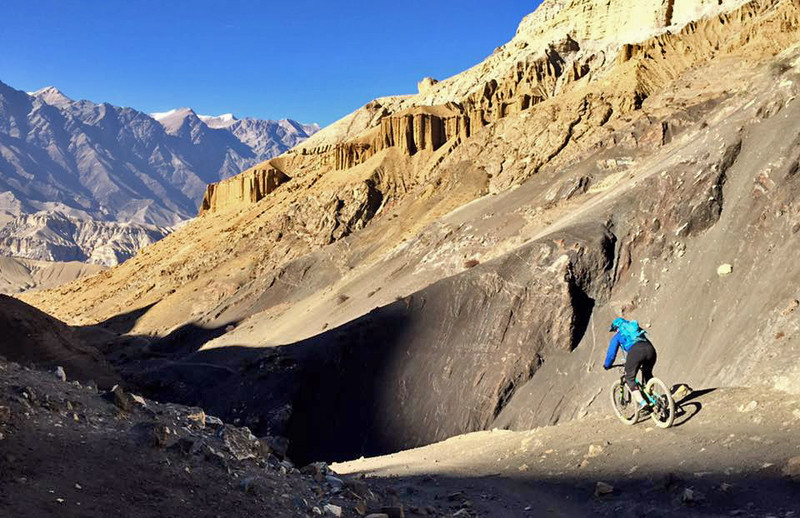 A huge cultural change, visiting ancient villages, riding on flowy singletracks through amazing arid scenery linking hamlets and villages, Mustang is a ‘must do’ for those who want to experience Himalayan riding ! 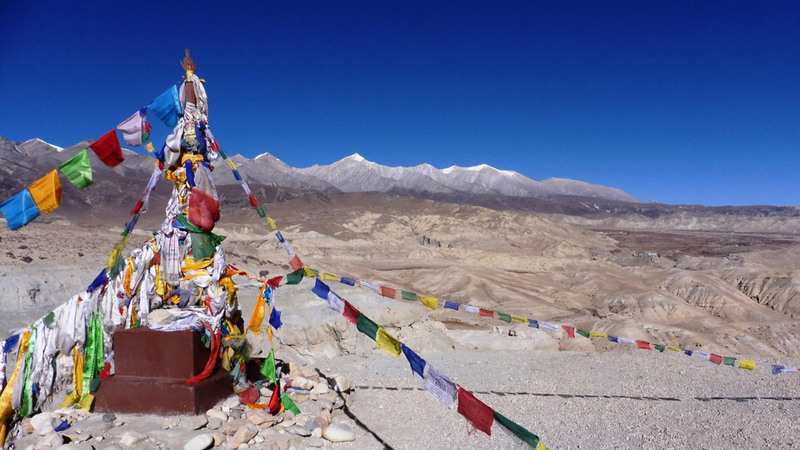 Landing in the capital of Nepal, Kathmandu, we transfer by vehicle to Pokhara, where you will experience one of the most amazing journeys in the world, to arrive in Jomsom in the lower Mustang. 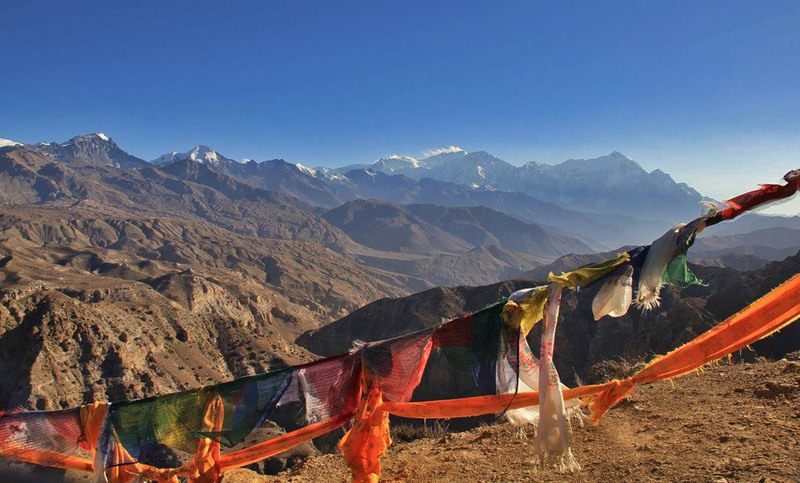 Here you will find yourself facing the mighty Annapurna range at 8091m ! 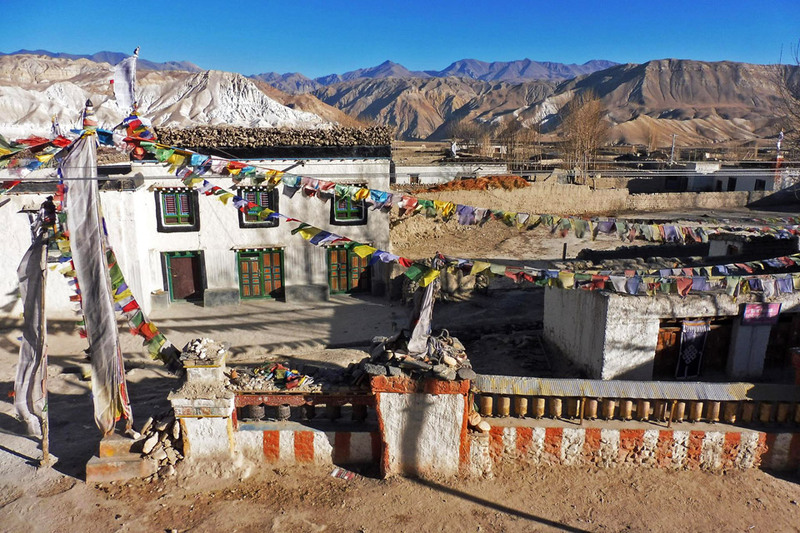 The Mustang region was closed to foreigners until 1992, the ‘forbidden’ former Kingdom of Lo. The region today is where vibrant cultural medieval Asia meets the twenty first century ! 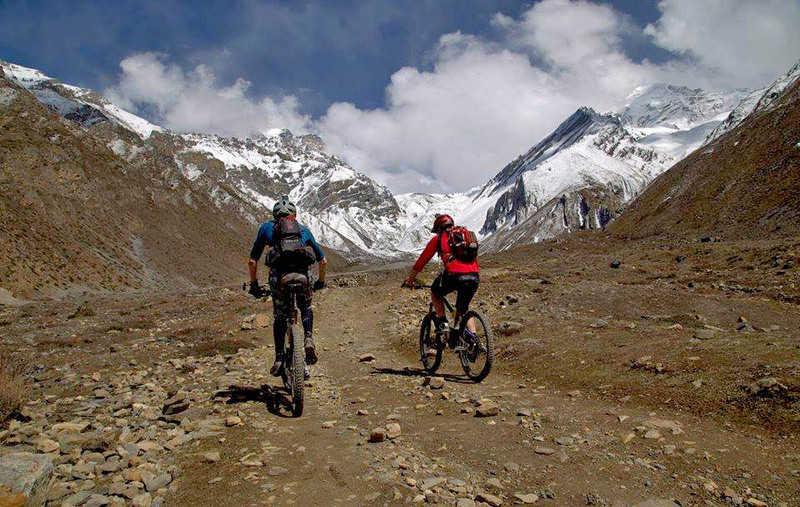 This mountain bike tour starts from the Kali Gandaki valley (the deepest valley in the world) at the foot of the Annapurna range, the circuit follows the ancient trade route to Tibet used by yak caravans accessing remote Tibetan villages up until not so long ago. 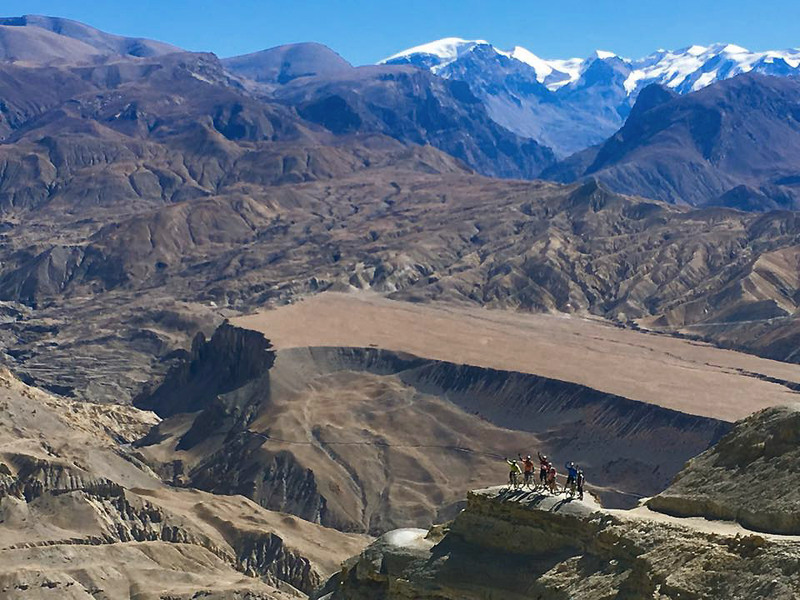 During this incredible trip you will climb two high mountain passes at 4000m., ride flowy trails, descend technical singletracks and have the time to enjoy the numerous buddhist temples along the way to Lo-Mantang, the capital of the Upper Mustang. 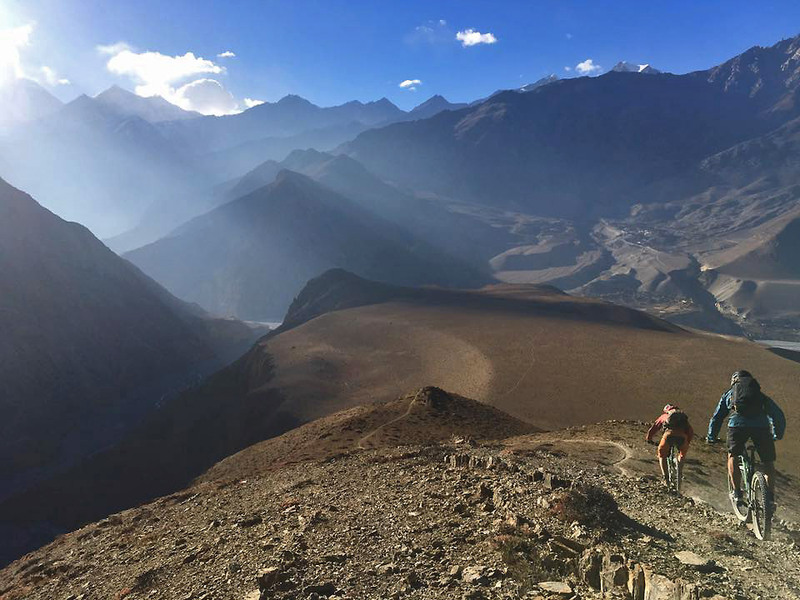 Our mountain bike adventure in Mustang, Nepal is not just a bike trip… it is an amazing, unparalleled experience of a lifetime which no other mountain biking company offers! Flights/Travel etc Expenses of repair and maintenance of bikes The two meals in Kathmandu on day one and the last day Cancellation/medical insurances and repatriation costs Bike hire Alcohol and extra drinks Mineral water All that is not included/understood in the heading 'Included'. Warning: The stage may seem quite short but remember that more than 70% of the trip is above 3000m of altitude with two days at 4000m. As the air is finer you wil surely feel more tired than usual for the same riding distance. That is why we have made the stage regarding the riding altitude. This itineray is given for your information and may be changed at the discretion of the guide depending on the weather conditions, physical ability of clients and the trail 'options' we decide together. DAY 1 of arrival (Saturday) : Arrival in KathmanduArrival in Kathmandu Airport, greeting by our representative and transfer to the Hotel. 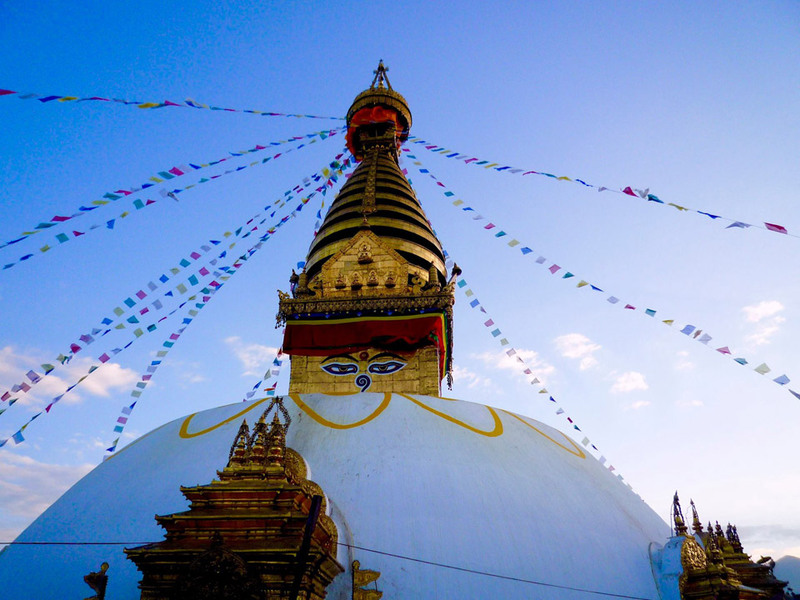 Take your time to relax and soak in Nepal’s ancient capital with some sightseeing. 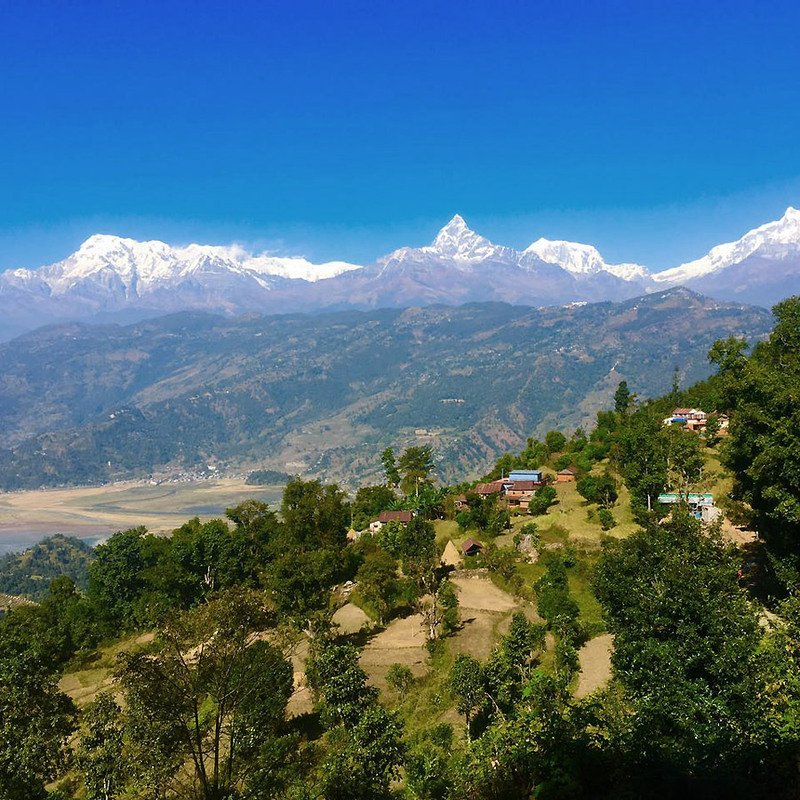 Today we have a 6 to 7 hour drive in a private van to Pokhara with some stunning views from the road along the way as we skirt the impressive Annapurna Massif. 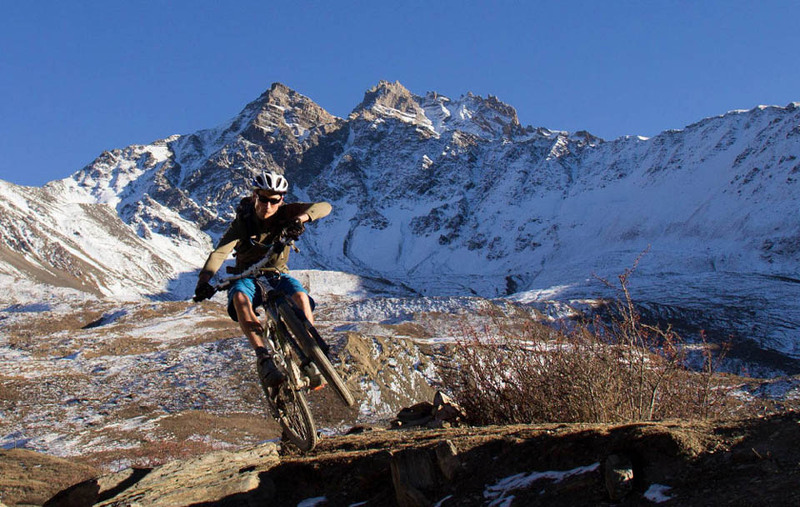 Short ride for the warm up and discover Kali Gangaki valley. We’ll leave early to take the spectacular flight from Pokhara to Jomsom, (approximately 20 minutes). 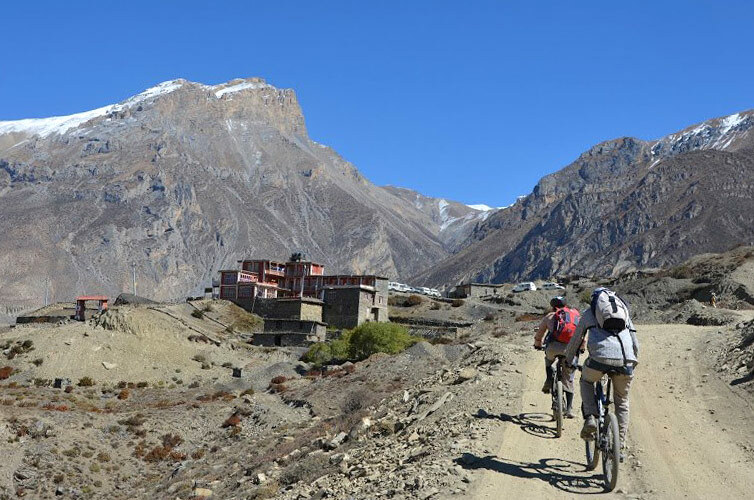 As soon as we land at Jomsom airport, we assemble our bikes, and have breakfast in the lap of Mount Nilgiri. After breakfast, we start biking to Kagbeni (2800m). 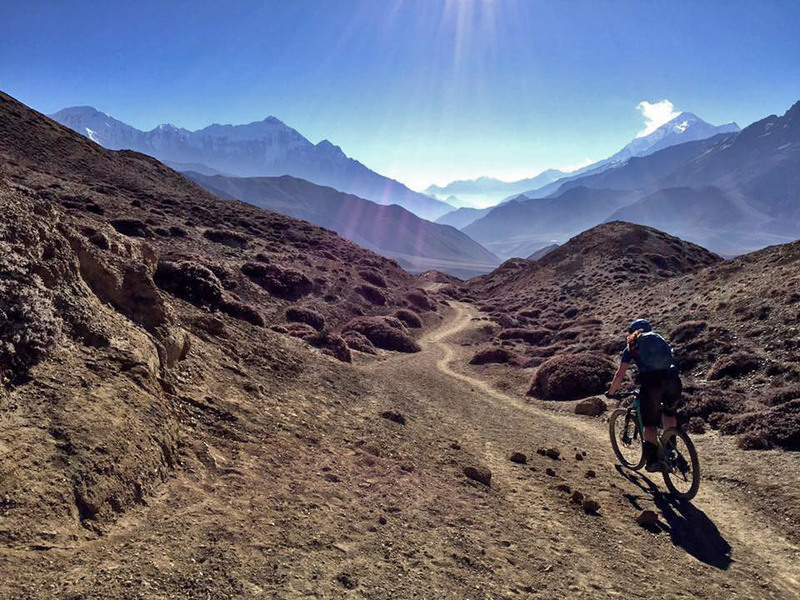 Our ride will follow the Kaligandaki gorge on a flat, rocky jeep track along a famous holy trekking trail. 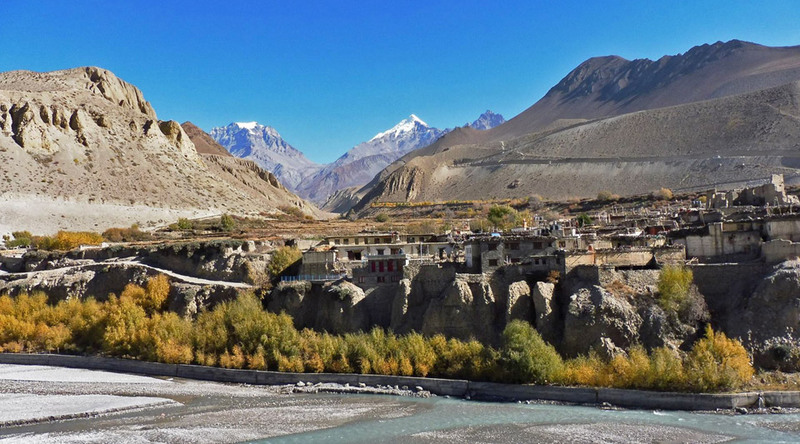 Kagbeni is the entry point to Upper Mustang where we’ll stay in the “Red House” hotel. We recommend waking up early to enjoy the spectacular sunrise and get some photos that you wouldn’t believe! 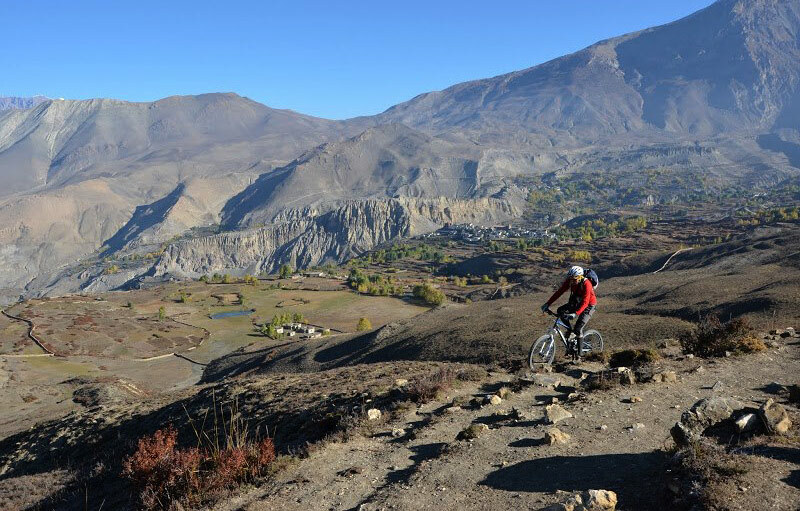 Today we will be biking mostly uphill to Muktinath on jeep track. 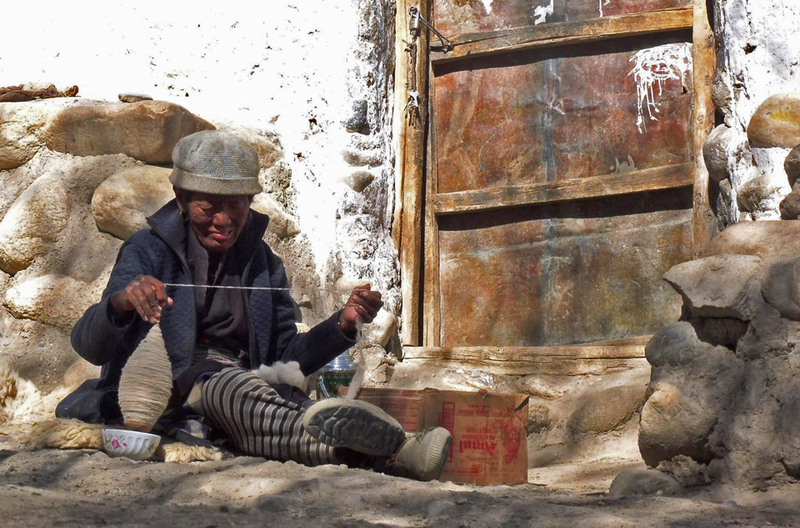 We will have lunch at Jharkot exploring afterwards some of the monasteries and local culture. 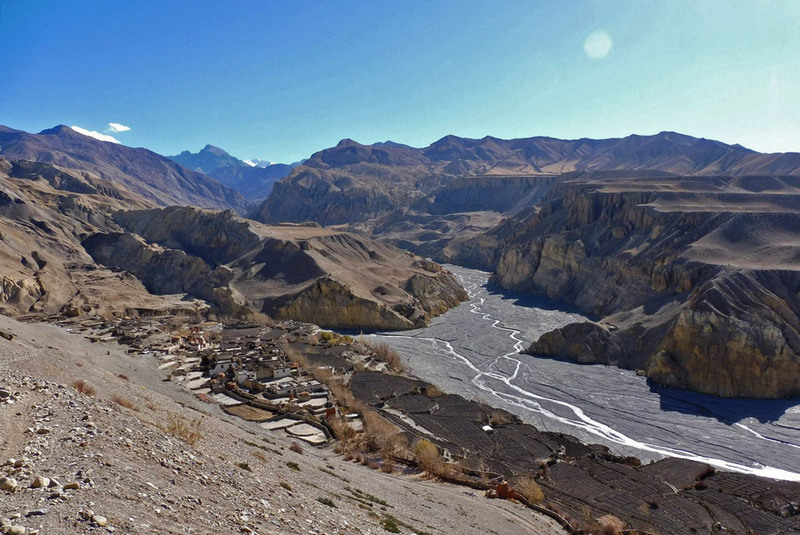 Today our journey enters into the forbidden land of Upper Mustang. We will ride uphill to the Gyu La pass descending to Chusang where we will have lunch and rest for a while. 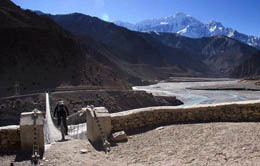 After having lunch, we’ll follow the banks of the Kali River and cross by bridge, riding uphill to reach Chaile. This is a nice little village which offers an awesome view of mount Nilgiri and the Kaligandaki valley from a different angle than the first day in Jomsom. In Chaile we can explore some ancient buildings and a monastery. 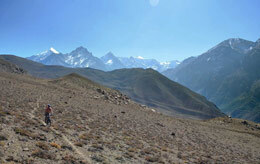 Heading further North into the Himalayas we’ll ride and push the uphill’s, enjoying the downhills after the passes. There’s 4 passes in between Chaile and Syangboche. We’ll stop at Samar for lunch then ride again towards Syangboche, being likely to meet some village people, Trekkers, ponies and donkeys along the way ! To start we have short climb to reach the first small pass with two more passes to come. 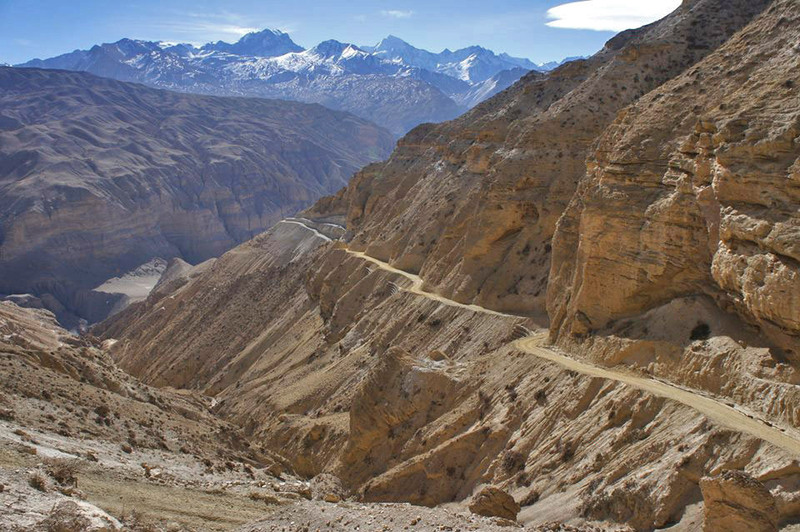 From the 1st pass we will be rewarded with an amazing view of Nilgiri, Annapurna and Mustang. We will then ride, first on gentle track then hair rising downhill, to the Gilling then uphill again through some beautiful villages on single track. After the biggest pass of the day (4000m) we’ll ride the downhill to Ghami. We’ll have Lunch in a local tea house with some delicious food from the Tibetan influenced kitchen. 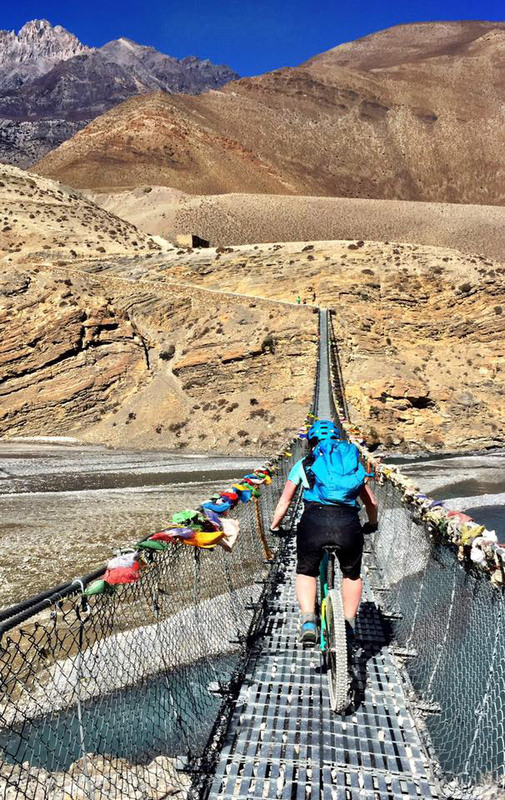 Next we’ll ride down through some farmland where yak Chauri graze and cross a bridge riding past Mani wall and an ancient Gumba. Then we’ll approach the last pass followed by a downhill taking us towards Charang where finally we can relax after the big day ! Today we’ll finally reach our destination of Lo-Manthang, the walled city of Buddhist heritage. 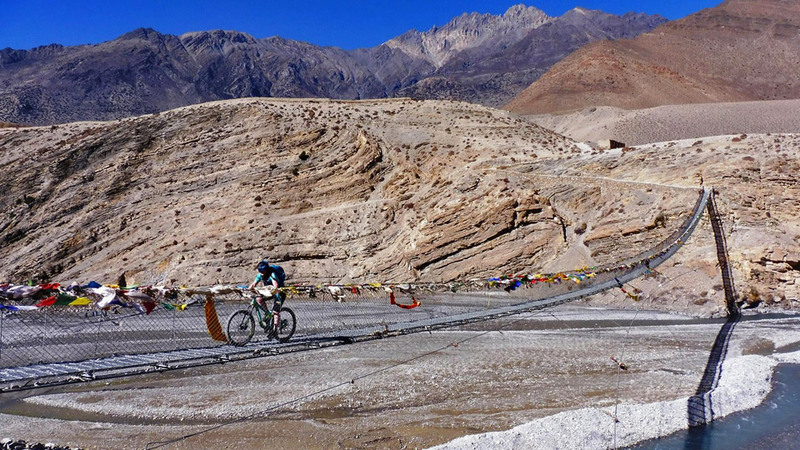 It is a relatively easy day’s ride with only the Lo-la pass (3810m) to cross. 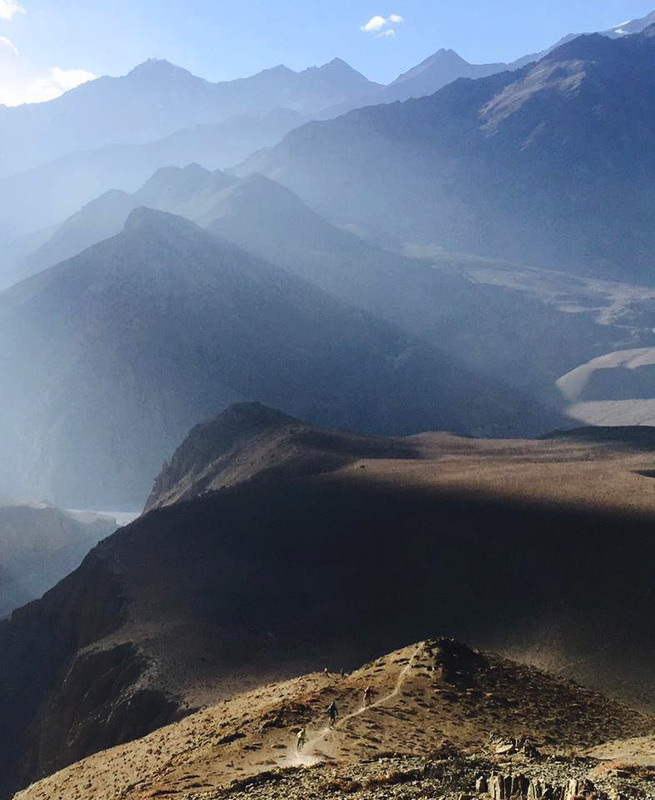 In this true Himalayan landscape the views are amazing and there are some 360 degree view points where we can stop and take photos. We’ll be riding through open jeep tracks and some trekking trails. After the pass we’ll reach Lo-Manthang after about half an hour. We’ll take lunch in our guest house and relax for the rest of the day. 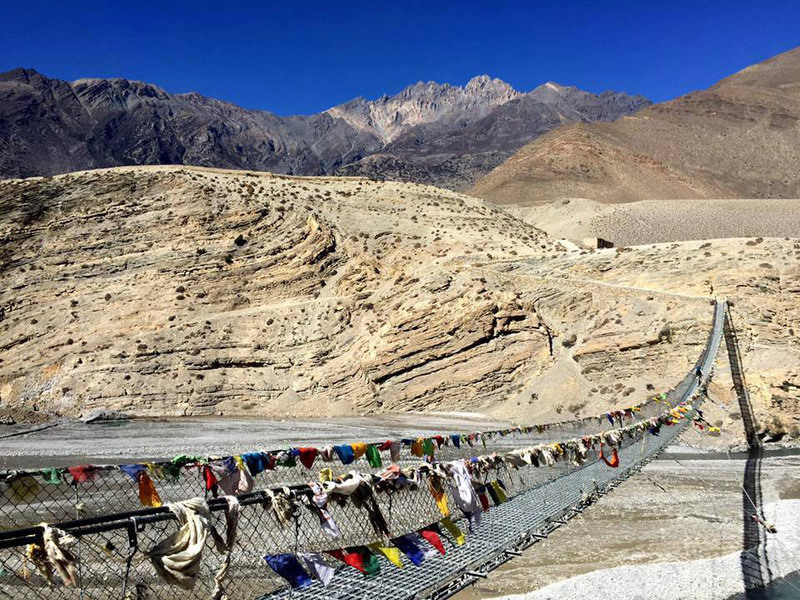 Now we get the chance to explore the fascinating Lo-Manthang with its centuries old Gumba, Royal Palace, inhabited caves, museum and ancient Buddhist ways of life. We may even get the chance to meet the traditional King and Queen of the region ! Now it’s time to be leaving Lo-Manthang and head back through some new single-track routes. 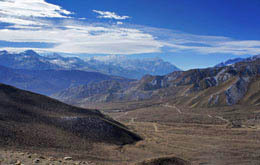 We’ll have to pass two passes over 4000 meters, looking back up the Mustang Valley with some amazing views. We’ll be able to see the Ghar Gumba from the other direction and later in the evening we’ll explore the village of Ghami (the village we had our lunch in on the way to Lo-Manthang). 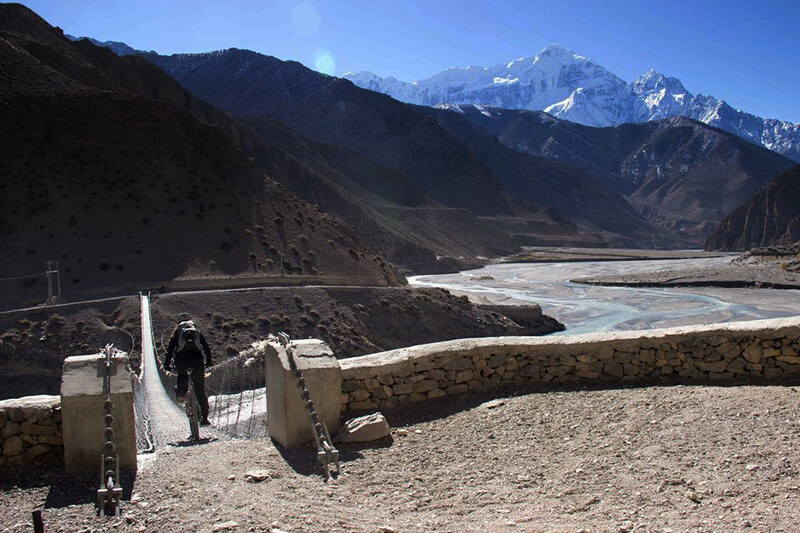 We’ll now be reversing the route we took coming towards Lo-Manthang with the views and scenery just as spectacular as before! 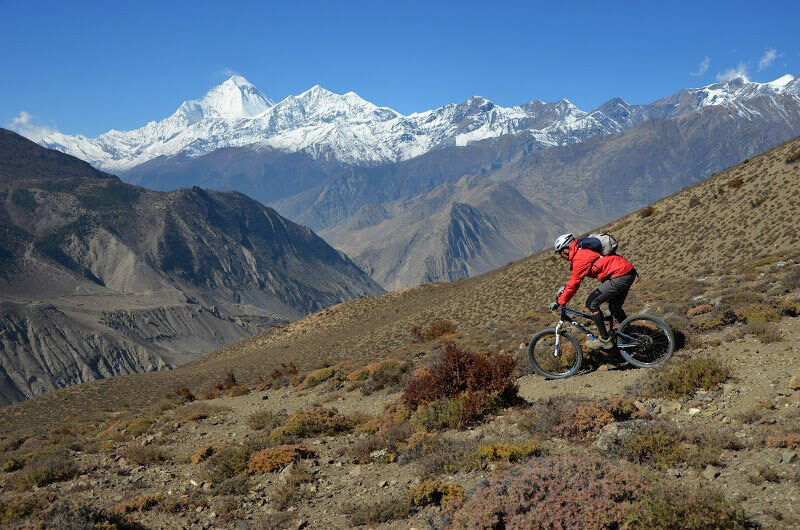 We’ll take lunch in Syangboche then ride up to the pass followed by a downhill to reach Samar village. After waking up on good mood and delicious breakfast we will ride on our journey toward a more subtropical region along the Kaligandaki River with some jeep and single tracks. It’s downhill all the way with lush, green scenery and more oxygen in your lungs, what a great feeling! 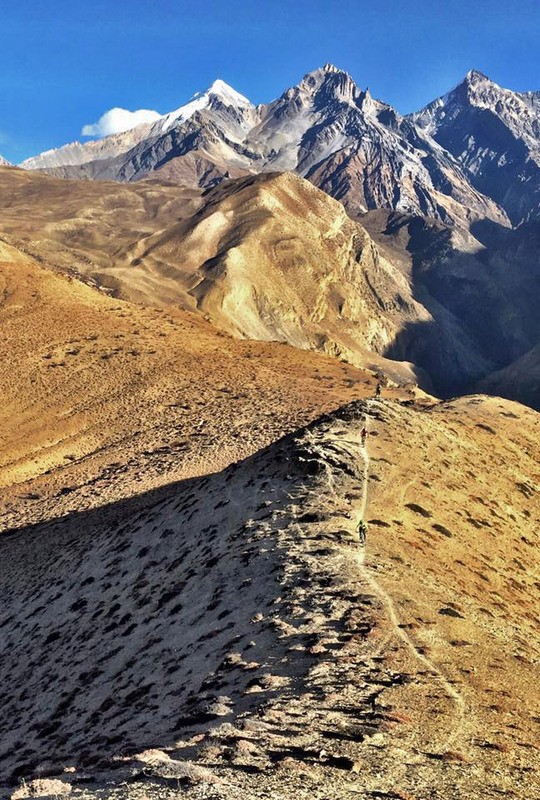 We’ll reach Tatopani (meaning ‘hot spring’ in Nepali) which is a famous place among locals for treating skin ailments (& not bad for tired legs too!). We will take lunch here in Tatopani. 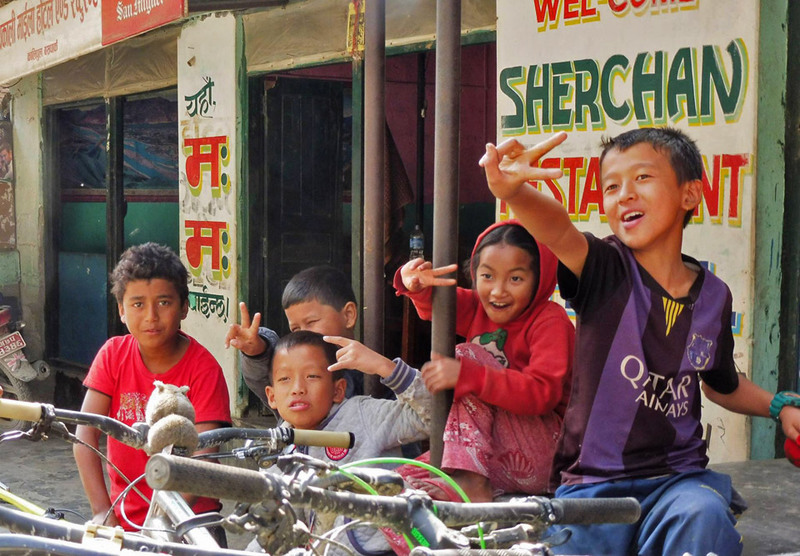 After lunch we will ride along the river bed on a jeep track to the Beni Bazaar where we’ll meet the Pokhara road. Our vehicle will be waiting for us to take us back to Pokhara. DAY 15 (Saturday): Transfer from Pokhara to Kathmandu and fly back to home. NB: this tour is run with a minimum of 4 clients. Lunches on Saturday of arrival and Saturday of departure are not included, but can be arranged at an additional cost. You ride 4 times or more a week for 2 hours or more. You able able to cycle long distance rides (more than 60 kms) and have a serious aerobic base to cope with long efforts. You can sustain long anaerobic efforts (7-10 minutes) several times a day. You are able to climb more than 1400 meters vertical ascent (4200 feet) a day over 6 days. You may have raced, got prepared and trained for mtb events. You can climb for more than 1h30 non stop. You can push or carry your bike on long sections. uphill in technical trails( more than 20 minutes). You have several years of riding experience on all types of terrain. You like the challenge and enjoy riding narrow technical singletracks. You love and search for tight corners. You are not afraid to do little jumps for fun while going downhill. You are confident in any condition, terrain and exposure. From easy to technical singletracks (some very technical) 'rocky and rooty' trails.